I must admit to being a bit of a “Blockhead” when it comes to wargaming because blocks eloquently address issues of fog of war and step reduction in one simple design element. 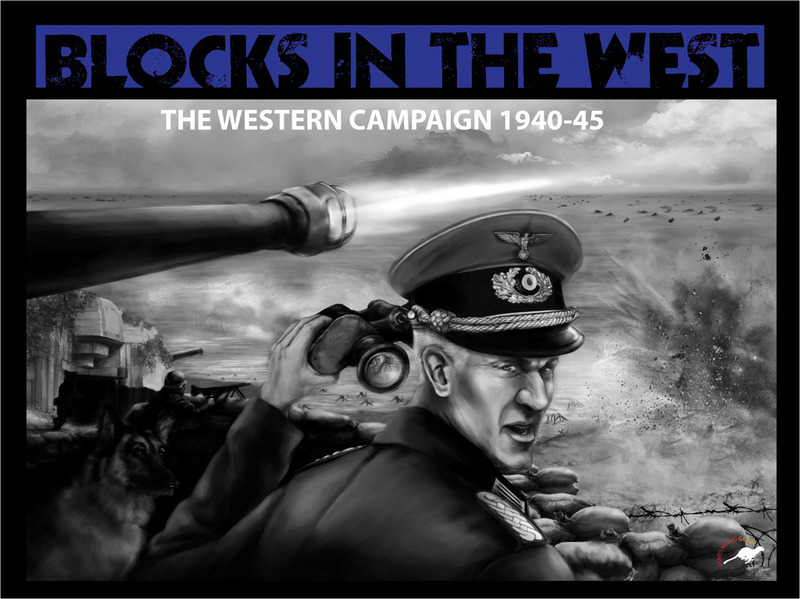 Blocks in the West, VentoNuovo Games’ Western companion to their Blocks in the East, borrows much from games that have come before it, such as Columbia games Eastfront and Westfront, yet offers a distinctly different tack while providing a more intricate and nuanced simulation of the Western and Mediterranean theater during World War II. Republishing older designs has become very popular lately. I suppose it is nice to have these older games back in circulation especially for newer gamers who missed the golden era of gaming in the 1970s and 80s. However when an older game is republished, I do expect the designer to make improvements to the game including consolidating rules errata, refining the game system and updating the graphics. Paul Koenig’s Fortress Europe has done this and more. The first edition, called Fortress Europa, was designed by John Edwards and published in Australia by Jedko games in 1978. Avalon Hill reworked the rules and published the more well-known version in 1980 followed by a 2nd edition rules set. In PKG’s edition, we have a worthy successor to this classic.